On the morning of September 11, 2001, 2,973 people lost their lives when tragedy struck the United States as a group of terrorist attacked what they consider to be our nation’s heart – New York City. That day would live on in the hearts and minds of every American. 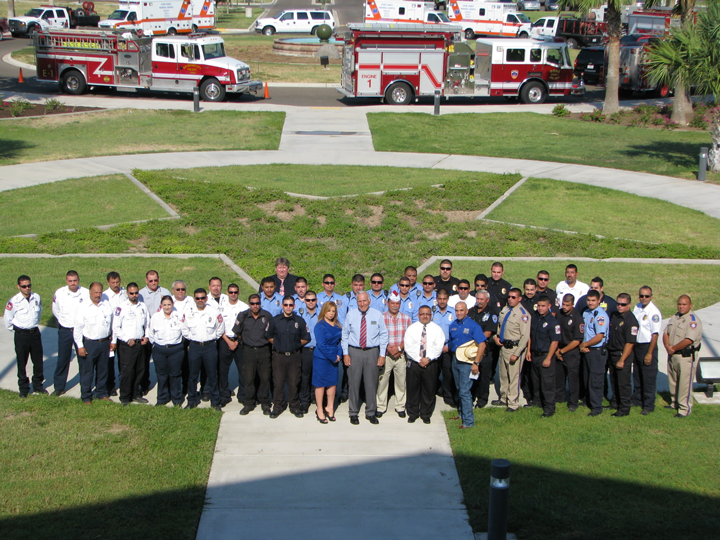 And three days before the 10 year anniversary of 9/11, South Texas College’s Starr County Campus held a remembrance to honor those who passed away as a result of the tragedy, but also those who showed true heroism in the days and months following. Firefighters, police and emergency medical responders for departments from across Starr County participated in the ceremony. 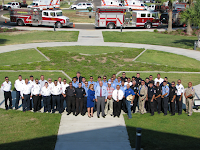 STC Starr County Coordinator Ruben Saenz and Rio Grande City Mayor Ruben Villarreal paid tribute to those lost on 9/11, but also local responders who risk their lives every day. It was after the speeches and a moment of silence that the U.S flag was lowered and then lifted again to half mast in remembrance of the tragedy and bravery that occurred that day.